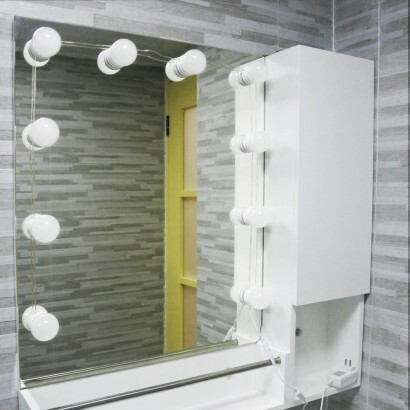 Give any mirror the star treatment and transform your room into a Hollywood dressing room with vanity mirror lights! Apply make up in the softer light from festoon style mirror lights to achieve a balanced, clear coverage and ramp up the glam factor as you see your reflection in lights! 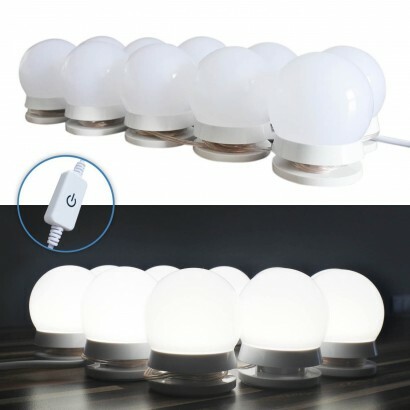 With ten bulbs, each with their own adhesive backing, these mains operated lights are suitable for mirrors with a perimeter of up to 4m with adjustable wires for smaller lengths and a dimmer function for a softer look.